A fantastic figure created by the wonderful Randall Munroe of xkcd. 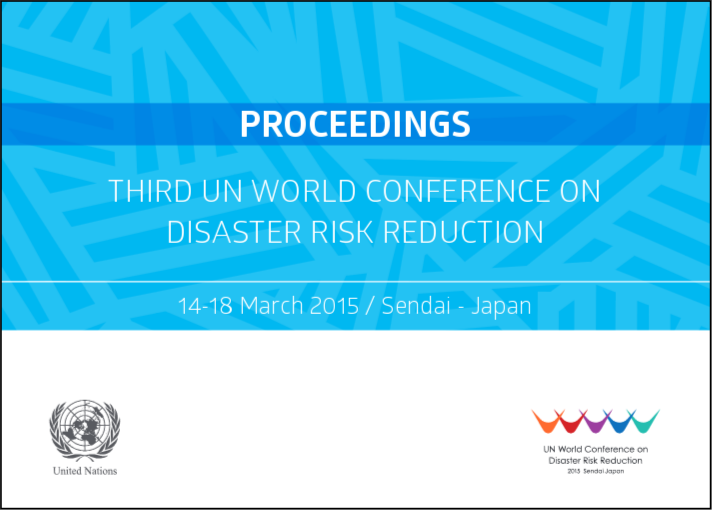 The frequency and severity of natural disasters is increasing. Source: CRED/OFDA International Disaster Database. A new USGS report calculates a 43% chance of at least one large (magnitude 6.75 or greater) earthquake for the Wasatch Front region of of Utah, Idaho, and Wyoming in the next 50 years. North Korea’s nuclear test today created a magnitude 5.1 earthquake equivalent seismic signal and has been measured on seismographs around the world. 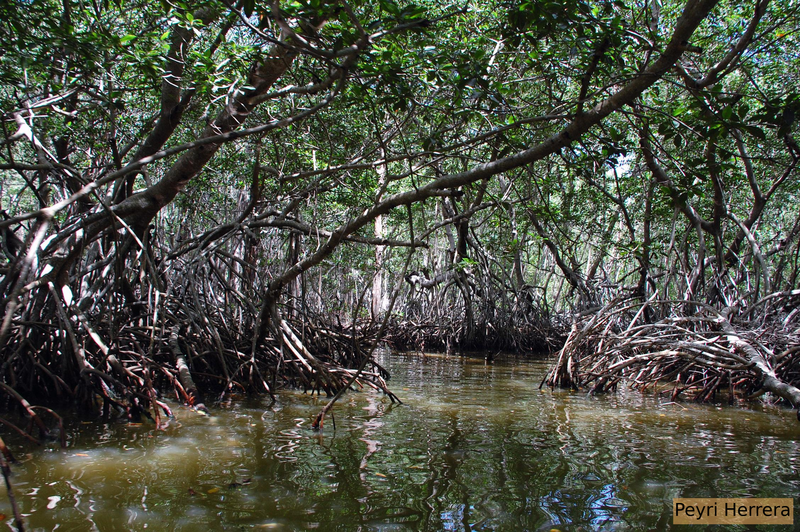 The tsunami in 2004 demonstrated that land protected by mangrove forests suffered far less damage than areas felled for resorts and farming. 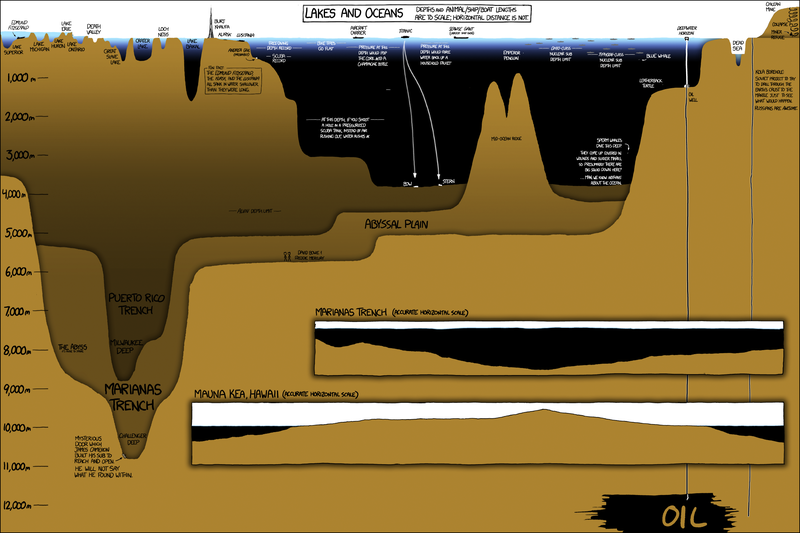 I really love this image created by Randall Munroe of xkcd fame (click to enlarge). 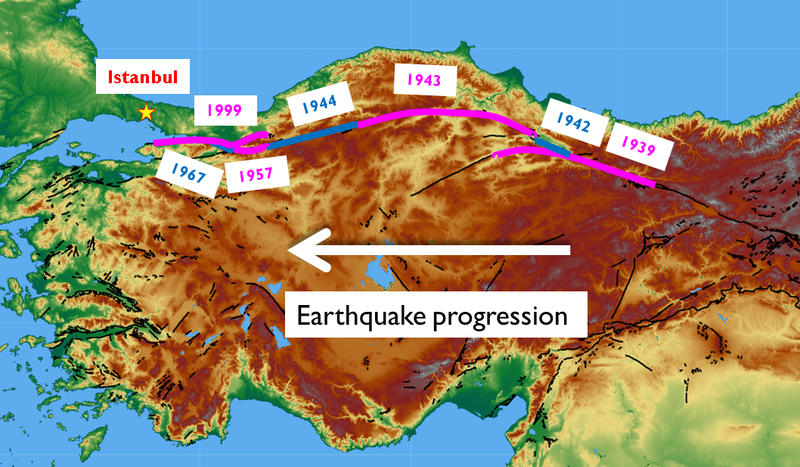 Since 1939 the North Anatolian Fault in Turkey has had a series of large earthquakes (greater than magnitude 6.5) with a dominant westward progression towards Istanbul.